Voters asked to expand fire-and-rescue service to the Newberg area; help shape Sherwood City Council. Washington County elections officials are asking last-minute voters to drop off their ballots at official collection sites as soon as possible so that all ballots are processed in a timely manner. The deadline for voting in this special election is 8 p.m. Tuesday, March 13. 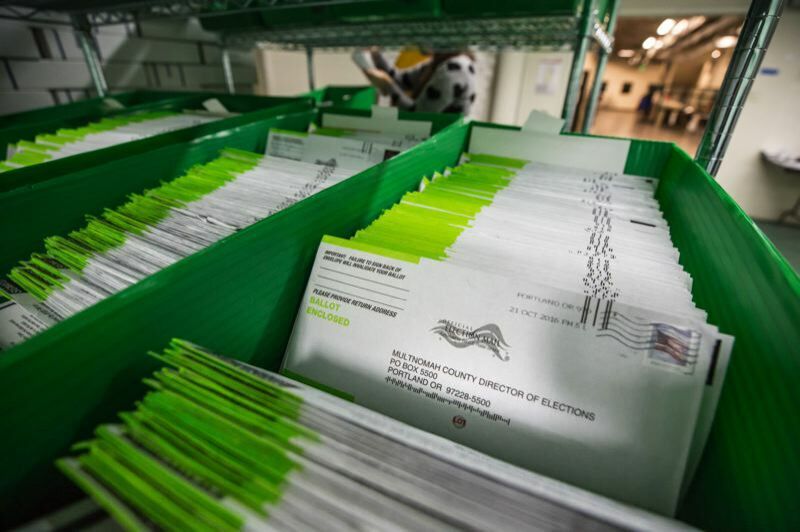 With only a few days left in the vote-by-mail election period, Washington County has received more than 37,179 ballots so far, or about 14 percent of all registered voters throughout Tualatin Valley Fire and Rescue's service area within Washington County, and in Sherwood. People within TVF&R's district are being asked to OK expansion of fire-and-rescue services to Newberg and the areas surrounding Newberg. Voters in Sherwood are picking a mayor and one City Council member. • Washington County Elections Office, 3700 S.W. Murray Blvd. • Washington County Sheriff's Office and Jail Parking Lot, 236 S.W. Dennis Ave., Hillsboro. • King City City Hall, 15300 S.W. 116th Ave.
• Sherwood City Hall, 22560 S.W. Pine St.
• Tigard City Hall, 13125 S.W. Hall Blvd. • Tualatin City Offices, 18880 S.W. Martinazzi Ave.
• Beaverton Library, 12375 S.W. Fifth St.
• Cedar Mill Library, 12505 N.W. Cornell Road. • West Slope Library, 3678 S.W. 78th Ave.